Can-Am's death was widely predicted after the 1983 season, but it was rescued by "Dallas millionaire" Don Walker, who leased the series from SCCA President Nick Craw and ran it through his CanAm Association. Walker agreed a TV contract with ESPN and brought in CRC Chemicals as title sponsor. Walker's Dallas Motorsport ran the VDS cars for Michael Roe again and, with little serious competition, the Irishman took pole position at every race and won seven races. 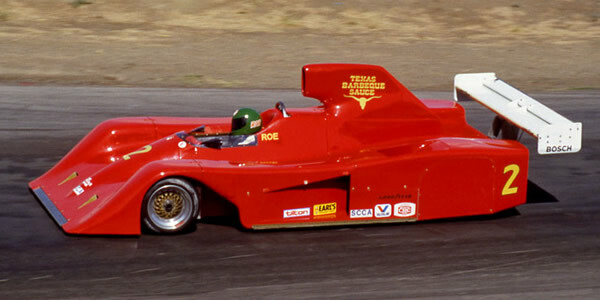 When Roe hit trouble, one-time GP driver Jim Crawford was able to win the three remaining races in his RK Racing March 847 and when Roe didn't hit trouble, Crawford always finished second. Both driver's moved on to CART where Crawford briefly led the Indy 500 in 1988. Roe's career sputtered and died. Behind these two, the rest of the Can-Am field was little more than SCCA club racing with the minor positions being filled by an assortment of converted F2 cars plus the antique Lola-Frissbee of Horst Kroll. Points table from Auto Racing/USA 1984 p252.